From Stockton, served with 18th Battalion DLI (Durham Pals) & Royal Engineers. 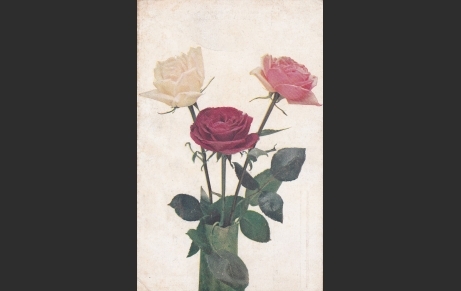 Mornington (or Morney, as he signs himself) sent this postcard to his younger sister, Annie. 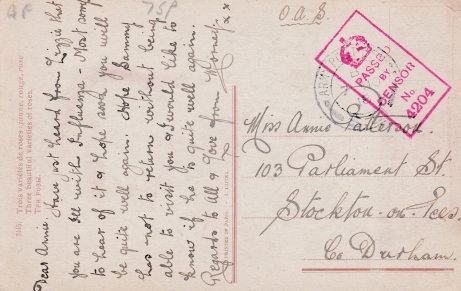 It appears as if their eldest sister, Lizzie, had written to Morney to let him know that Annie was ill. Considering the date of the card’s postmark, 7 November 1918, it could well have been that she was suffering from Spanish Flu.